Forklift and warehouse trucks are a significant capital investment, even when deployed on full rental or contract hire terms. As economies all over Europe show signs of recovery, it makes sense to keep a close eye on the bottom line to sustain this fragile growth. Gian Schiava examines how fleet managers can use planning and prevention to reduce operating costs. 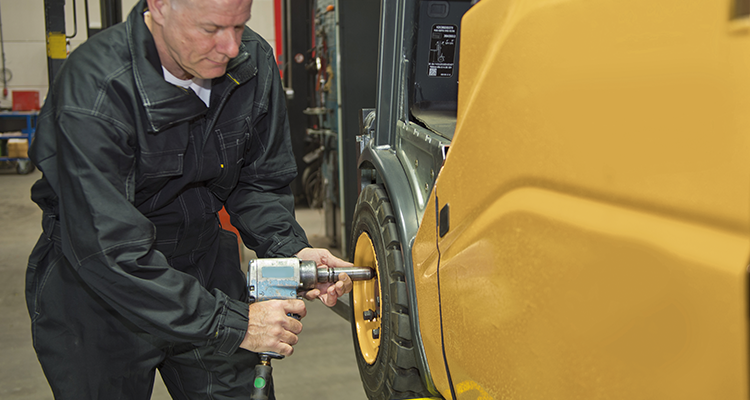 An incredible number of measures can be taken to improve the efficiency of a lift truck fleet. The ultimate goals are often maximum uptime and reduced costs – hence the constant juggling between these contradictions. For clarity’s sake, we have decided to divide the measures into those taken by the company itself and those taken by an external fleet management service; often provided by the forklift supplier. Let us first look at what the average warehouse manager (or the manager of all vehicles on the premises) can do himself. Since many fleet management contracts cover the list below, we are looking at companies which at least partially own their lift trucks or buy them at the end of a leasing period. Managers have to make sure to protect the goods, but at the same time they are responsible for warehouse activity as a whole. All vehicles age, and it is no different for lift trucks. To help avoid costly repairs and damaged loads, it is important to carry out daily or pre-shift inspections. Naturally the warehouse or the premises where the trucks operate needs to be tidy and in good order. For example, poor floor condition is one of the largest causes of avoidable damage expense. Driving over debris such as wood, plastic wrap, twine and banding can cause radiator or axle damage, and if blown into the engine compartment it can destroy the cooling system and potentially cause engine failure or a fire. 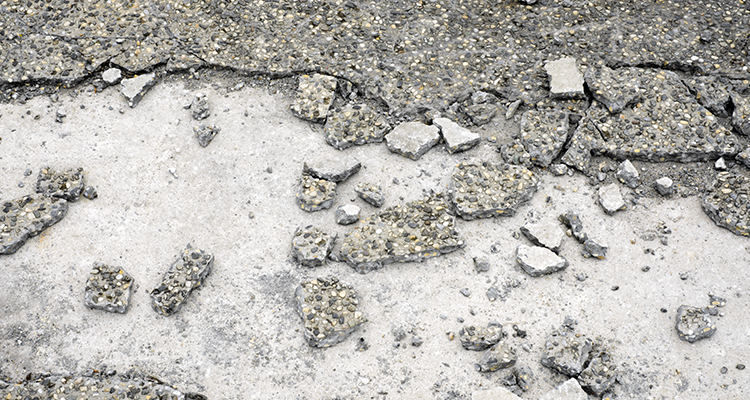 Poor floors are a major source of truck damage. Next, drivers need to receive training. It is important to teach them that speed is not equal to productivity. Drivers must be trained in pre-operational inspection, load-handling techniques, fuelling, battery charging and much more. And it should certainly not stop at initial training, as from time to time truck drivers need follow-up training to refresh their minds. By doing so, truck abuse can be minimised. 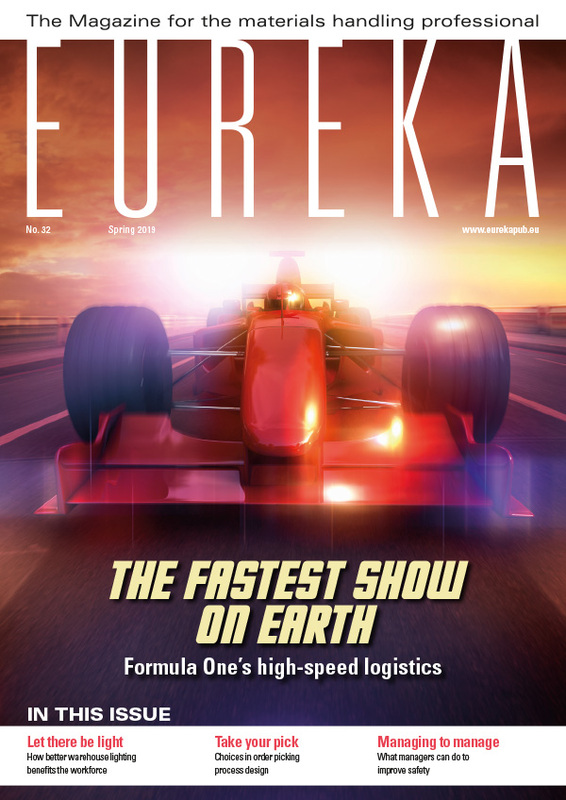 eureka has always been a champion of safe warehouse work practices. We have published many articles showing that setting up the right procedures not only protects the people or the goods but also contributes to less (unexpected) damage. Tangible safety devices can also be used, like speed reduction systems, warning signs or traffic signals. All vehicles age, and it is no different for forklift trucks. To help avoid costly repairs and damaged loads, it is important to carry out daily or pre-shift inspections. The areas which require most attention are the forks, mast, chains and tilt cylinders. Most suppliers can provide comprehensive checklists. Today the mix of forklifts in a fleet tends to be predominantly battery powered. If the fleet is large enough, a separate battery charging room is needed. 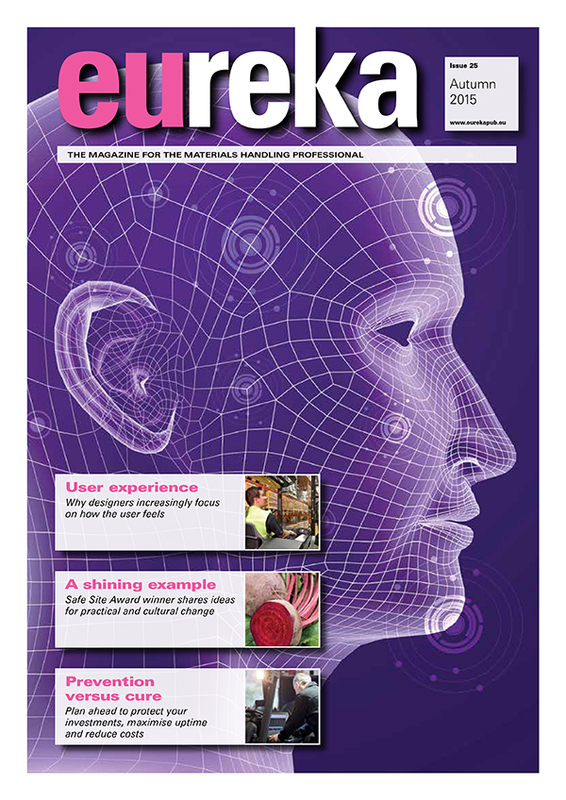 In earlier issues of eureka we have explained how these ‘nursery’ rooms need to be equipped and how proper battery management can extend battery life. Large companies with many vehicles (not just materials handling devices) may decide to employ engineers for the regular maintenance. One of the advantages is that the engineers tend to know the machines very well and contribute to decisions on replacement, thus avoiding a situation where repair costs go through the roof. The main difficulty is in keeping the right stock level of spare parts and controlling these costs, bearing in mind that most suppliers tend to charge more for last-minute emergency deliveries. In general, the majority of these measures are not carried out as an overall forklift fleet maintenance or management activity. Of course, they all reduce some of the unanticipated maintenance cost. Some companies even excel in resolving unplanned events – basically maintaining uptime at all costs. But didn’t we mention earlier that warehouse or fleet managers need both uptime and low costs? Furthermore, without an overall approach and overview it is also almost impossible to understand beforehand what the fleet costs will be – and that is what every manager would like to know. What do the materials handling professionals bring to the game? We have now seen what companies can do themselves to keep cost down – and that is a lot! Our list is by no means comprehensive, as there are many more possibilities. However, it is always an uphill battle to beat what the professional forklift supplier can bring to the game. Let’s take a look at some examples. The warehouse manager can expect a customised plan for on-site, scheduled maintenance services, including fluid level and lubricant checks as well as regular equipment inspections – all at a pre-determined cost. Operations will be evaluated and suppliers will take into consideration how many hours the forklifts run, the type of environments they are running in and a range of other factors. 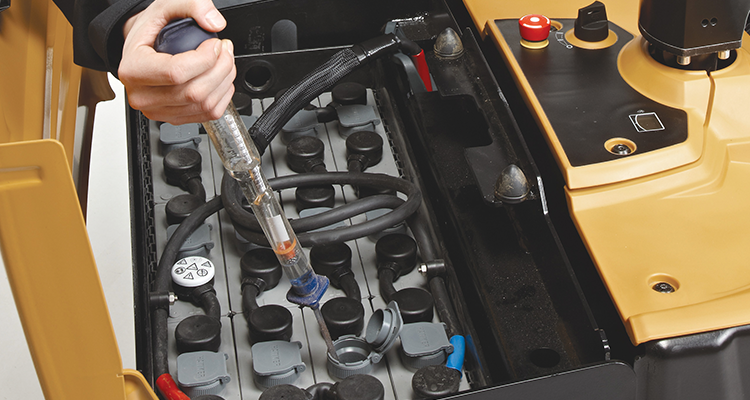 Preventative maintenance can be developed further into a more comprehensive maintenance and repair support plan. In most cases this means all designated repairs are covered by one fixed monthly rate, which relieves the forklift fleet managers of the task of chasing data for their monthly reports. A proper analysis provides the fleet manager with actionable data to improve the usage of the fleet. Modern software is often used to see what is going on. This can include data registration of truck movements, registered charging time, uptime, fuelling data and much more. A proper analysis provides the fleet manager with actionable data to improve the usage of the fleet. 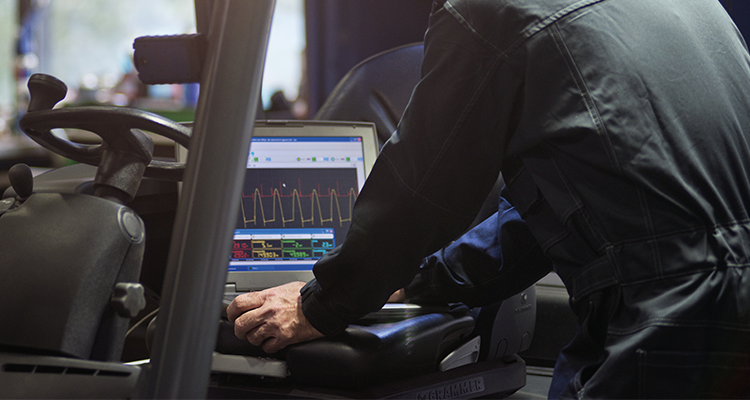 Good data, properly analysed, is a key to efficient fleet usage. The ideal solution is probably where preventative maintenance becomes part of a complete process of financing and managing a fleet. The warehouse manager receives monthly reports on maintenance and repair costs, along with recommendations on fleet size and mix, and information on security and damage issues. Training is provided where necessary to improve the behaviour of truck drivers. In practice, by outsourcing the fleet management the warehouse manager can achieve better control over his costs, whilst freeing up time for his other managerial tasks. In this way, balancing costs and uptime no longer seems incompatible. To secure uptime, Aprolis offers adapted preventive and predictive operations. The customer receives reports on the service activity. With this information, also potential risks can be reduced. Aprolis’ Preventive Maintenance process with codified operations analysis leads to increased product quality. Finally, training of the technicians play a vital role in the whole operation. Impact (UK) stresses another topic. They insist on using only genuine parts. Independent aftermarket companies are primarily interested in selling a part, but with Impact it is more about the brand experience. Besides, original parts are perfectly matched to the truck. If anything goes wrong with a part, Impact accept returns and offer advice and technical info/build sheets to help resolve the problem. Another advantage which Impact has, is that they have special in-house software needed to resolve certain truck problems. The engineers are fully familiar with these tools and, contrary to others, have a truck in no time up and running. They are trained by the official supplier, but Impact made sure they also have the skills to service all kinds of materials handling equipment. Finally, specialized contract managers review performance, health and safety aspects, damage and cost savings at sites on a regular basis.